What a brilliant idea! Melinda Janiszewski, the owner of the one and only Cocktails and Canvas business in Australia, bought this concept to our shores because she loved it in America. When I think about it, I shouldn't have been distressed about attending this event, I only needed to be focused on the idea of their signature cocktails, boutique wines and exotic beers - art therapy at its best. Melinda is definitely onto something! When we arrived we were greeted by a charming young artist and Brylee, the smiling bar waitress. When I couldn't decide whether to indulge in a Midori based cocktail or a frozen slushy style mix; Brylee recommended the Midori. I am not much of a drinker and to save face I am just going to confess to having more than one. This is an 'all-inclusive, no fuss' night out. No preparation is required and all tools and equipment are supplied. The acrylic paint used is ideal for such an event as it spreads easily, dries quickly, (allowing multiple layers to be applied) and washes off if it spills. In the introduction to the night the fun element was emphasised. This was pretty much guaranteed because there was a hydration bar set up… right next to the bar! The drinks are bought to your 'artist's station', and you can order delicious food from the neighbouring restaurant, Chilli Peppers. An artist coaches you through the process of painting 'your masterpiece', so all you have to worry about is having fun. This is a novel night out with wide appeal. Although photos in the window show that Cocktails and Canvas is for everyone (including men and children), our night was attended by women only. I asked the other clients why they had decided to attend and found that several were from interstate for a hen's weekend. This was a very tame start to the weekend as the next night a male revue was planned. I know what I'd prefer. Another lady said she had been admiring the Facebook site and came with her mother as a Christmas present. They thought it was a perfect opportunity to do some art. The artist's friendly support is very reassuring. She gave us step-by-step instructions, advice and ample encouragement to take a risk. After the background had been applied I heard a lady comment: 'I don't want to touch it'. The artist replied 'You don't have to but it will look great, I promise'. The night started at 6.30pm and ended at 10pm. The time passed went quickly and the multiple cocktails certainly helped increase satisfaction with the take home artwork. I was surprised how many original versions of the sample artwork were produced. During the evening I was wondering who I could give birthday vouchers. If you can't think of a birthday, you don't have to wait that long as there are two exciting events coming up soon. The Spanish night is $110, which includes tapas and desserts. There's also a Teacher's appreciation event for just $37. Private party ideas for all ages and charity events are all part of this innovative program. Want to foster team bonding, improve organisational productivity, increase morale, foster leadership and develop more effective team relations? The team building sessions are designed to motivate team members to encourage each other as they create a unique and self-fulfilling Team Canvas. Team building sessions and corporate events are also held at their studio or at your office or at any other location of your choosing. You can even have your team-building event at one of Melbourne's trendiest bars or pubs. Have you ever thought about painting your pet? Here's your chance without all the mess and for a great cause! The Pet Charity event is held every 3 months. Cocktail and Canvases talented artists will pre-sketch your pet onto your canvas and guide you step-by-step on how to paint it while being served your favourite beverage and nibbles. 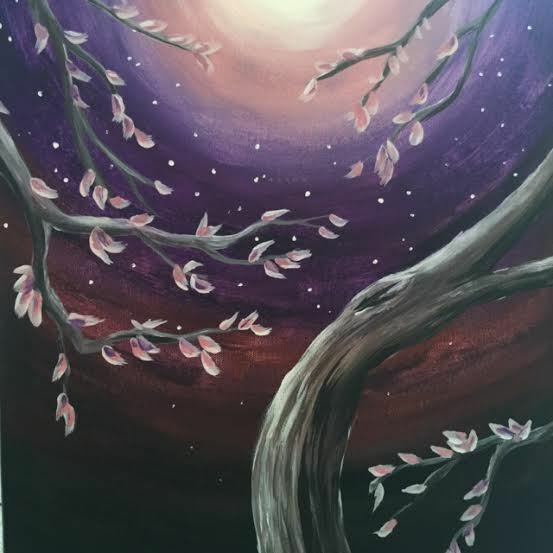 The 'Paint Your Pet' Charity Event is $80 pp and includes an 11"x14" sketched canvas of your pet, all materials to complete your masterpiece and a complimentary welcome glass of wine, beer or soft drink to get your creative juices flowing. Check out their website for more details of events, prices and gift vouchers. 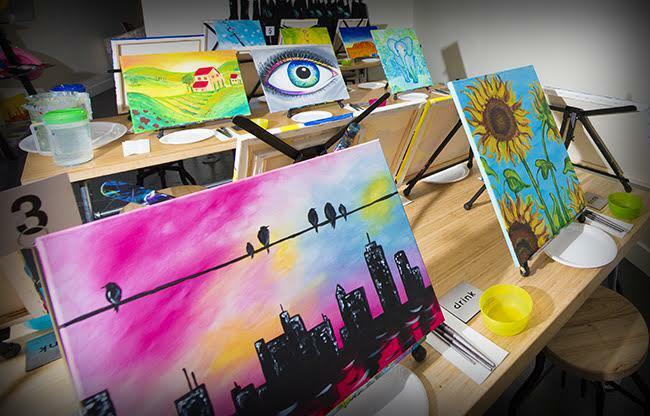 'Paint and Sip' Cocktails and Canvas is a new novel idea for art enthusiasts to novices. 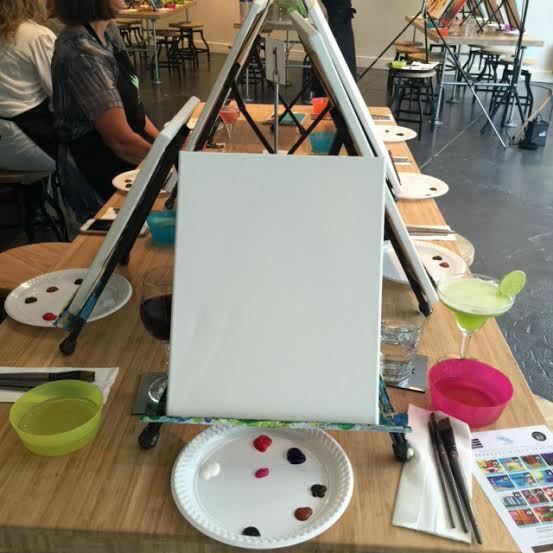 Their art salon provides a relaxing luxurious Manhattan style cocktail lounge while learning to paint. You don't need to commit to expensive art courses. In fact, this is far from your formal art classes. 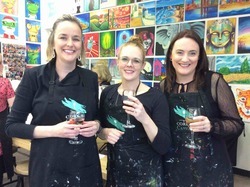 Cocktails and Canvas is your opportunity to indulge in a few hours of relaxation, fun and a drink or three. Unwind with friends or family or make this your next team-building event. Be prepared for a night out like no other. This is a chance to let out your inner creative soul. Be spoilt by the attentive staff that clearly loves what they do. They are available to run events 7 days a week, during the day or evening. What more could you want? 1.Choose a painting or date to suit you from the website. Go to www.cocktailsandcanvas.com.au or call 9370 9959 to book in your seat. NO EXPERIENCE or materials REQUIRED! So JUST CLICK ON THE CALENDAR AND BOOK IN! Let the fun begin. Warning: This leisure time activity could become addictive! I love this idea and its ideal for a girls' night out. Cocktails & Canvas changed its name to Cork & Canvas. 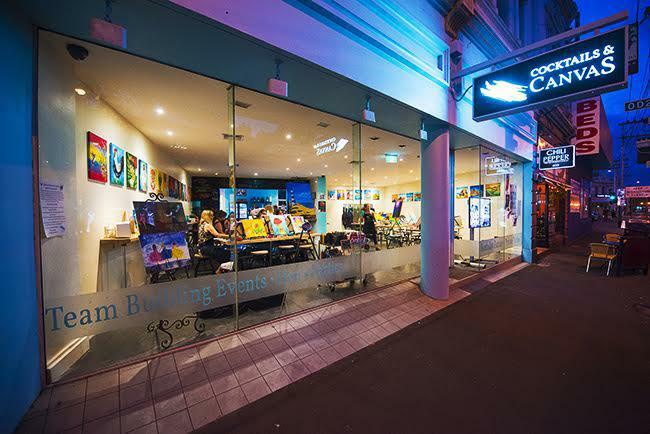 Our studio is at 206 Clarendon Street, South Melbourne, Vic 3205 and visit us at corkandcanvas.com.au. 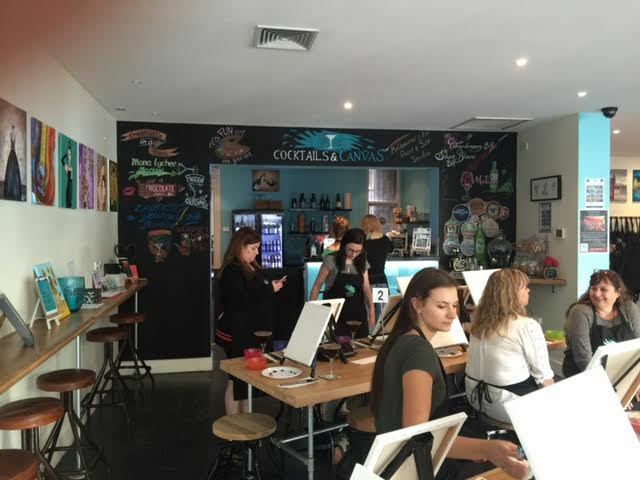 We're Australia's first paint and sip studio! 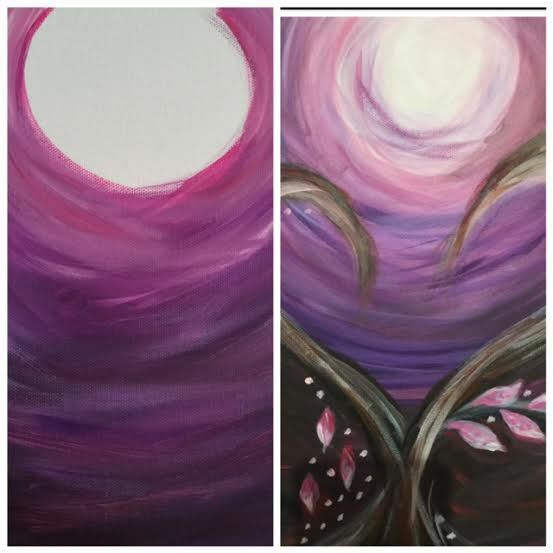 Join us for a night of paint and sip fun. 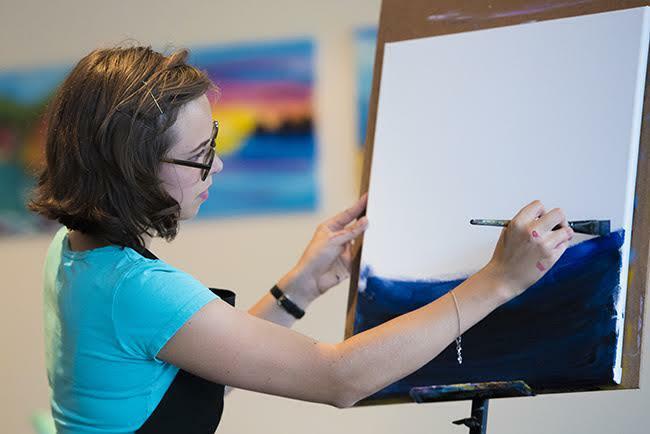 Drink while you paint and be guided by our talented artists step-by-step from start-to-end how to paint your own masterpiece! 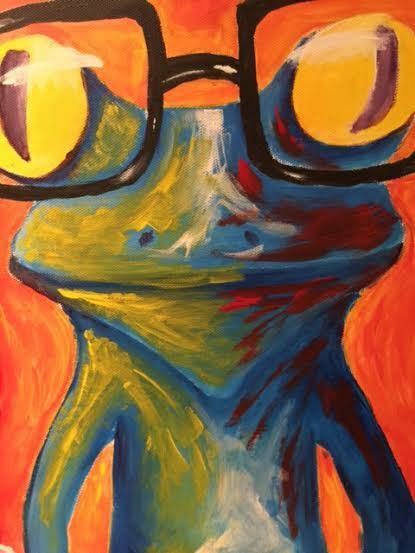 Its's heaps of fun - its fun art, not fine art!